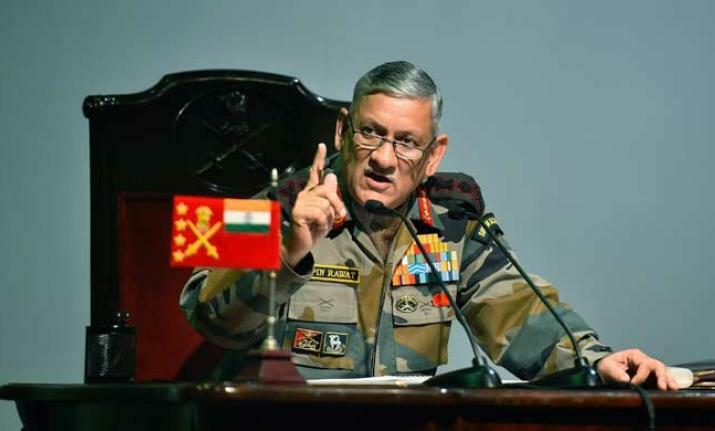 China on Monday expressed anger over Indian Army chief Bipin Rawat's remarks, saying such "unconstructive" comments would hurt peace and tranquility in the border area. Gen Rawat last week said India needed to shift its military focus from its western border with Pakistan to its northern border with China. He also said that if China was strong, India was not weak either. "During the past one year, relations between China and India witnessed some twists and turns," Foreign Ministry spokesperson Lu Kang said. Lu pointed out that in September, the leaders of India and China reached some important consensus on properly handling the differences and promote China-India relations. "Recently, two sides enhanced dialogue on consultations, and bilateral relations have shown sound momentum of improvement and development. "Under such background, the unconstructive remarks by the Indian senior officials not only go against the consensus reached by the two heads of state, and do not conform to the efforts made by the two sides to improve and develop bilateral relations. "It cannot help to preserve tranquillity and peace in the border areas." Rawat also said that said India needed to check China's growing assertiveness in the South Asian region by forming a partnership with its neighbouring countries. He also said the crisis at Doklam would have been resolved due to the onset of winter and apprehended that Chinese troops might come back again. He, however, said that Doklam, which China calls Donglang, is a disputed territory between Beijing and Thimphu. Asked to which particular remark of Rawat's China has taken exception to, Lu said: "I have made myself clear. If the senior official according to the report referred to Donglang, I think you are clear about our position - Donglang belongs to China and has always been in the effective jurisdiction of China." "The China border troops patrolling and stationed in the area are exercising our sovereignty rights. We hope the Indian side has learned the lessons of history and will avoid similar accidents to take place again." "If he refers to the situation in the whole India-China boundary, I have also said that last September the two heads of state have reached important consensus during the Xiamen summit. Both sides have maintained effective communication since then." "The aim is to enhance strategic mutual trust and create enabling atmosphere for strategic communication. Recently the bilateral relations have shown positive momentum. "On such background, the official mentioned by you made such kind of remarks that go against the consensus of the states and do not conform to the general trend of improvement of bilateral relations. We believe such kinds of remarks are not conducive to maintaining peace and tranquility in border areas."